Martin Gardner is a good start, although a few of his books are a bit dated, in parts. I recently did a series of blog posts on setting up a home library, reviewing catalog software and sharing photos of my finished book organization project. 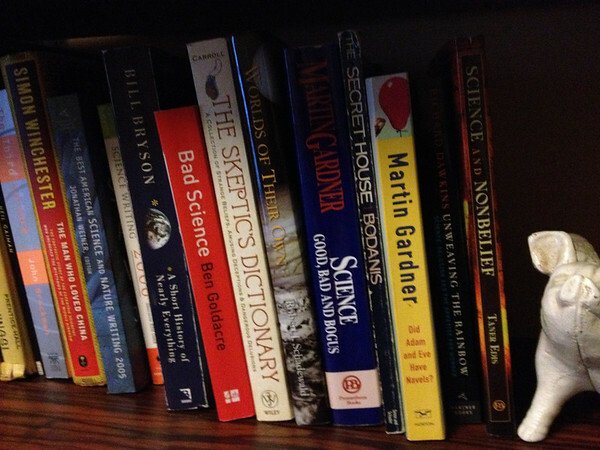 Kitty asked me to mentioned some books that would be good to start your own library of skeptical resources, or even give you an idea of some reading material. A good starting point for reading about critical thinking and skepticism are two books: Demon Haunted World by Carl Sagan, and Why People Believe Weird Things by Michael Shermer. I spotted this second book on an end cap at a local bookstore about 10 years ago, and it is this book that showed me that I wasn’t a lone skeptic and that indeed there were magazines, conferences, blogs, and many other places to indulge my curiosity and meet like-minded people. It was my ‘a-ha’ moment: I’m not the only one who thinks this way. I’ve given away so many copies of Sagan’s book that I snap up copies at used book stores, just to hand them out. 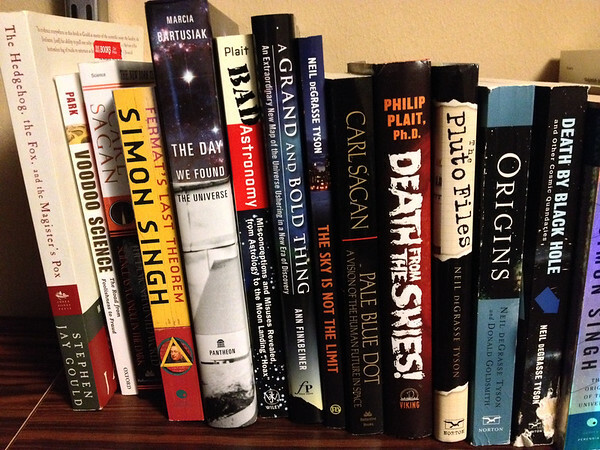 Astronomers and physicists tend to write good books for the skeptical audience. Frequently, people who become interested in skepticism are either first interested in science, or become interested as an outgrowth of their skepticism. When I was in college (back in the late Middle Ages aka when Fleetwood Mac was riding fame after the release of Rumours), I ran across one of Stephen J. Gould‘s collections, Ever Since Darwin, and soon after bought every book of his that I could find. My Gould books date from 1980, when I started consuming popular science. 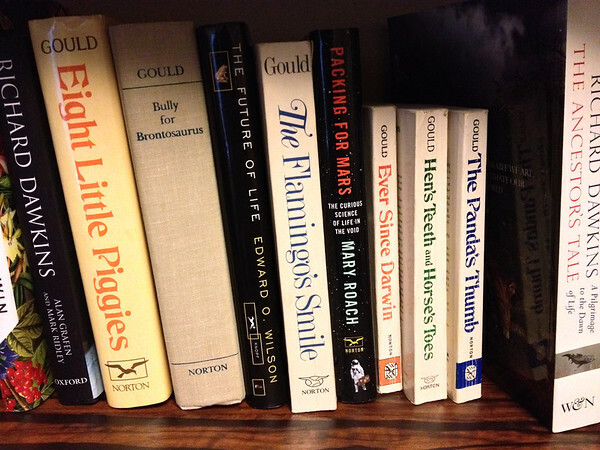 Gould was a professor zoology and of geology at Harvard, and wrote many books and hundreds of columns on natural history, biology, evolution, paleontology, and baseball. Phil Plait, known as the Bad Astronomer, has written a great book about incorrect ideas people have about astronomy, written for those who don’t want the math. He debunks such things as the ‘moon landing was a hoax’ conspiracy theory, for example. 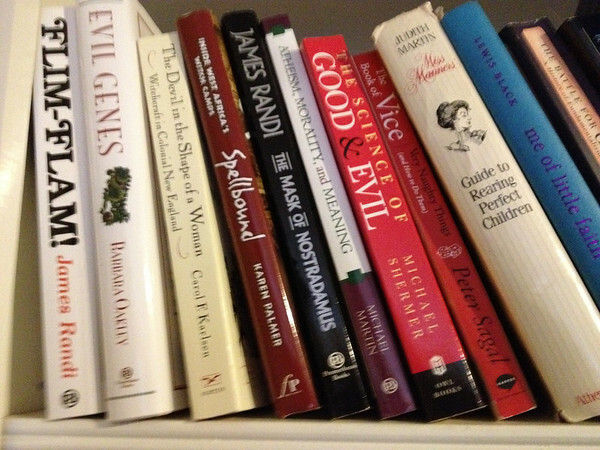 Of course, anything by James Randi is required reading! Anything written by Martin Gardner or James Randi will serve as good basic primers on skeptical thinking (such as Flim-Flam). Other books would a good general overview of particular topics might include Trick or Treatment: The Undeniable Facts About Alternative Medicine by Simon Singh, Bad Science by Ben Goldacre, or Voodoo Histories: The Role of Conspiracy Theory in Shaping Modern History by David Aaronovitch. Becoming familiar with general science, and especially evolution science, helps hone your mind. I also read history, which apart from being an enjoyable topic, helps you be aware when you run across revisionist history, such as stuff sometimes spouted on Fox News. I also read a lot about the history of religion, primarily Christianity and Islam, which I hope makes me a better-informed citizen, as well. I’ve been a fan of science fiction since I could barely read. That genre has fans and detractors alike: I believe well-written, science-based fiction is a great tool for expanding our abilities to think about possibilities and consider alternate views from different perspectives. Also, I love everything Larry Niven wrote. 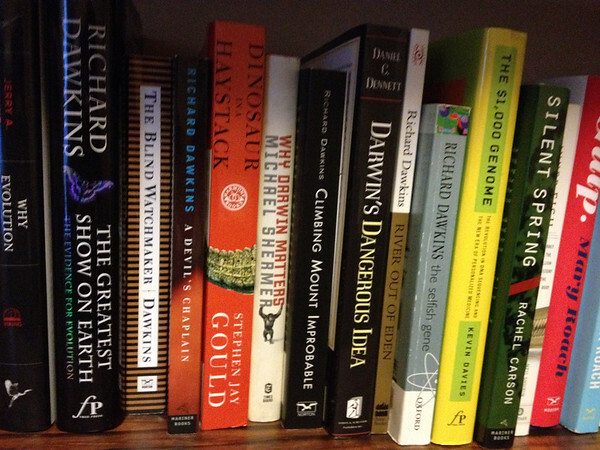 What skeptic or science themed books do you consider to be part of a well-stocked library? Popular Delusions and the Madness of Crowds by Charles McKay. A wonderful and readable book from the 1830s.